The Pacer Voyager adult inline skate is a wonderful example of a skate that is going to work wonderfully for recreational use. The skates are durable, and they have a strong frame that features a molded shell with an overlay support piece and deluxe padded liner. One of the stings that you will notice with the Pacer Voyager is the smooth performance. These inline skates feature ABEC-5 rated bearings and high quality wheels that are going to roll smoothly and still be able to grip. 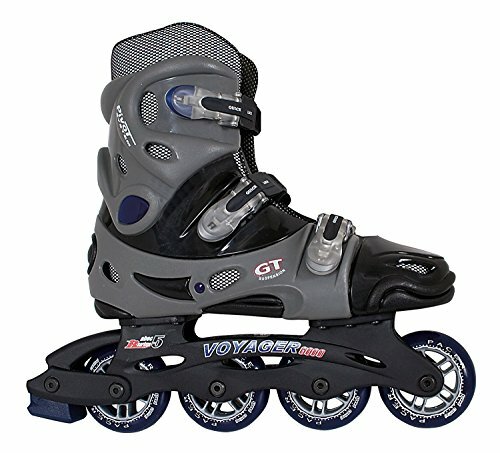 The skates are also very lightweight, which makes them easy to wear no matter how long you are skating. View More In Inline Skates. If you have any questions about this product by Skate Out Loud, contact us by completing and submitting the form below. If you are looking for a specif part number, please include it with your message.